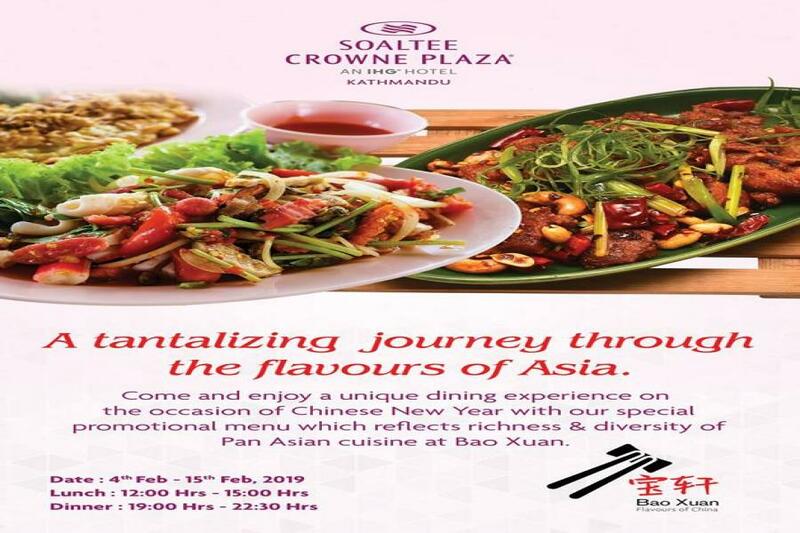 KATHMANDU, Feb 04: On the occasion of Chinese Year year, Soaltee Crowne Plaza has announced to serve Chinese special dishes at its specialty Chinese Resturant Bao Xuan from Monday. As per the information provided by Soaltee Crowne Plaza they mentioned that they are ready to mark the Chinese Year of Pig by adding the most thrilling flavors of the oriental cuisine. The hotel had welcomed their guests to join this celebration which leads to priceless culinary journey that contains popular cuisine of the region. This celebration will start from 4th -15th February. The hotel is organizing the promotion programs to the local residents as well as international guests on the occasion of the Chinese New Year.